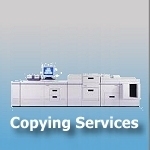 Welcome to COPY EDGE Digital Printing. 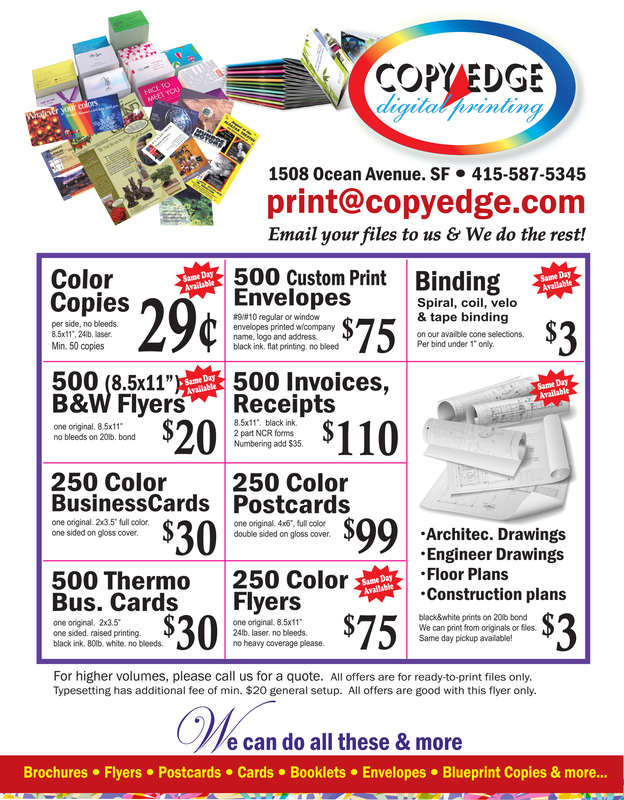 Copy Edge Printing is a locally operated copy and printing store established in the Ingleside District of San Francisco, California since 1989. We offer high speed digital black & white copies and digital color copies, thermos (raised) offset-spot printing, full color printing, large format plotting, full binding and finishing services. Our clients range from small companies to large corporations, educational institutions, and nonprofit organizations across the United States of America. Blueprint copies, custom print envelopes, brochures, flyers, cards, invitations, postcards, banners, signs, posters, booklets, carbonless forms, invoices, receipts, fax, scan & email, on-demand book publishing, professional perfect bindings, mailers, etc. Come in today, let us help you bring your ideas to life. Email Your Files to Us and We do the Rest!